If You Think Zimmerman is Guilty You Might Be a Racist! | Virginia Right! “All we want is someone to be arrested” the crowd demanded. Apparently, to the racists among us, justice isn’t what is adjudicated by a jury. Justice isn’t following the law. Justice is, well, justice. To the racists and race baiters, justice is incarceration or execution of any white (or white-ish) person that kills a black, justifiable or not. Screw the law. And if they do not get what they want, they will burn down the towns and streets and blacks will indiscriminately attack white people to punish them for being white in some perverted sense of “justice” for Trayvon. The only kind of justice that is – is mob justice. And that is not justice. This show trial was nothing more than a lynching. And now we find out that Erick Holder and his Black Justice Department – and this is simply calling the racially biased history of selective persecutions by the DOJ what it is – was on the ground last year in Florida organizing mob protests to force Florida prosecutors to arrest George Zimmerman despite already having been cleared by the Sanford police and the FBI. 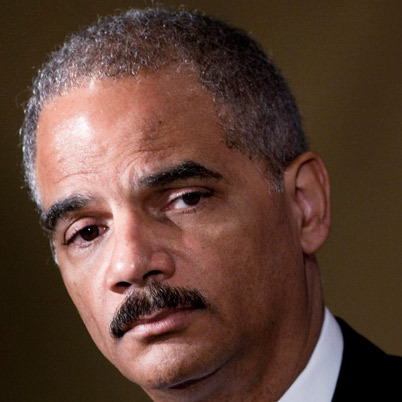 So after Holder and his racist allies like Al Sharpton, who ignore thousands and thousands of black on black killings, like the 54 killed in Chicago which includes 4 children that were gunned down during the Zimmerman trial and ignored by Holder and Sharpton because the killers were all black. People like Al Sharpton would be forced into retirement if we ever managed to achieve a post racial America. Racism is alive and well in America because people like Sharpton and Jesse Jackson refuse to allow it to go away lest they lose their income stream. They perpetuate their paychecks by conjuring up racism where none exists. But that is what these people do. It is how they make a living. They don’t even bother demanding justice for the millions of innocents killed by blacks. There is no money in dead black children killed by other blacks. And this is about money and power to these pretend “Civil Right’s” leaders. And we also find that the Federal Government and the Obama Administration pressured the judge and prosecutor, who both resemble Shrek in a frock. And the judge is a life long Democrat, surprise, surprise. And this case – that never should have been tried – has cost Florida over $1 million and it is not even close to over. And while Martin did not deserve to die, he is the one that moved the incident from simply being observed to violence when he walked up to Zimmerman and punched him. But people like Al Sharpton and Holder have fostered a mindset among blacks that everything and anything is racism and violence, mob confrontations and fights are the only solution. These “leaders” have convinced blacks that talking and calm, rational discussions are useless and direct and violent confrontation are the only way to get what you want. The Democrats have adopted the violent tactics of the striking union mentality as the answer to every problem, even where the problem doesn’t really exist. And of course, the Obama mentality uses the opportunity to grab guns as the answer and to invalidate even the most basic right to self defense. But we have already established that the life of black children (or children in general) is irrelevant to Democrats. They are zealous about killing the unborn, agnostic about blacks killed by other blacks and only manage to find repulsion at the death of a child when it politically advances their cause. And anyone that thinks the children are the reason Democrats support education you need to think again. It is about the teachers, the administrators and the money. Children are simply a tool. An means to an end. Which is quite appropriate given the theatrics on display from the fake outrage in the Zimmerman case to the bricks, feces and urine in the Texas move to protect mothers and children from unsafe abortions. Zimmerman was doing what he thought necessary to protect his property and catch the person or persons responsible for break-ins in his neighborhood. Hundreds of thousands of people participate in neighborhood watch programs. They are a good thing. These people prevent or deter a lot of crimes and also are invaluable by providing information that leads police to the perpetrators. And he was perfectly within his rights to do so and he simply called police. Now Zimmerman’s mistake was probably leaving his vehicle. But even this was not unlawful and did not give Martin a reason to walk up to Zimmerman and hit him. This is the type of thuggish behavior that Holder, Obama and Sharpton have convinced blacks is appropriate. And the culture of “you disrespected me” so I can assault you is the result of the attitude that comes out of these “leader’s” actions. Had Martin, instead of assaulting Zimmerman, either run away or simply asked him why he was following him instead of resorting to a violent confrontation, he would still be alive. Martin’s best option was to say “Why are you following me?” and simply waited for the police to arrive. If he was truly the innocent boy that some are trying to make him out to be, they would have moved on and Martin would still be alive. Martin could have simply walked on to his destination and ignored a non threatening Zimmerman. If police got there in time, it still ended well. Or Martin could have run away. I seriously doubt Zimmerman could have kept up. Instead, Martin “acted stupidly”. And it cost him his life. Violence begets violence. Zimmerman may have made a poor choice to leave his vehicle, but that was not illegal. Martin striking Zimmerman was illegal. Martin committed assault and started a chain of violent events that ultimately lead to his own death. Obama proved to the world that he is no different from Sharpton and Holder and other race baiters when he assumed racism in the case of the black professor who became belligerent with police. Fortunately, the black professor was only verbally abusive and did not resort to violence. But the culture that black “leaders” have created even reaches the highly educated like this professor and the entire incident, which could have been quickly resolved by showing the police officers an ID turned into major event because the professor was indignant about being asked to prove who he was. And this will not get any better until people like Sharpton, Holder and Obama stop looking for a potential racist behind every incident involving a black and a non black person. Until we all learn to communicate without throwing race into the equation more people will needlessly die. People of all races. The “post racial” president is not leading on race in this country. And we are more racially divided now that we were when Obama took office. There was no racism involved in the professor’s case. And there was no racism involved here. And anyone who thinks there is needs to look in the mirror to find the real racist. 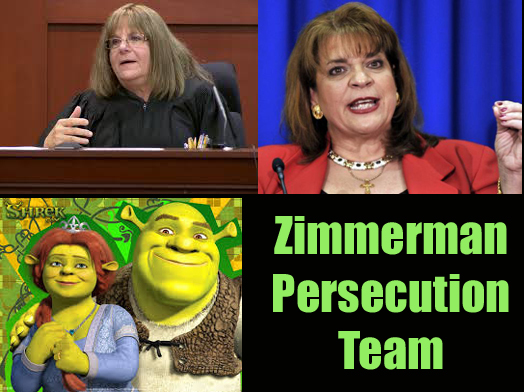 Zimmerman should not have faced charges. But racists insisted. And he was found not guilty. And again, the racists see racism as the reason. And those that do are not helping the problem. They are making it worse. ← THAT NEW POLL that declares SARVIS at SEVEN PERCENT also is ENCOURAGING to E. W. JACKSON, too! I’m still waiting fro the outrage over the dozens of murders in Chicago. Almost weekly. aietesi to jason made a condition? Objection is normal: the customer has the desire to deal with concerns or different points of view, often want to get more professional information? Dissent is a good thing: dissent within the meaning often point interest. Help customers wish to purchase, wanted something to prove or a more favorable service? Objection is a chance: Get more customers information, establish a good relationship, and create new sales opportunities. Means that customers are willing to further contacts with the brand product, if so that customers get a satisfactory answer, to facilitate transactions reached a deal with the three elements of customer objections. But I also want to …… Qu Sheng malicious grabbing her rounded earlobe nibble a road, eat you. Jane Come scared pale, Distressed mercy: I beg you, let me, my body now also …… This show is bound by the fake fighters Fang and co-chaired the cult. Battle brothers, fake side Sima, many people may think so. Obedient listening, drums and listen to the sound, through the phenomenon of nature, He Weifang through different judge, this is not another blog that Fang issued another voice: I am Sima north, not the cult?.